Before the large hotel chains, there were owner operated motels and hotels that gave you the sense of being in someone's extended home. 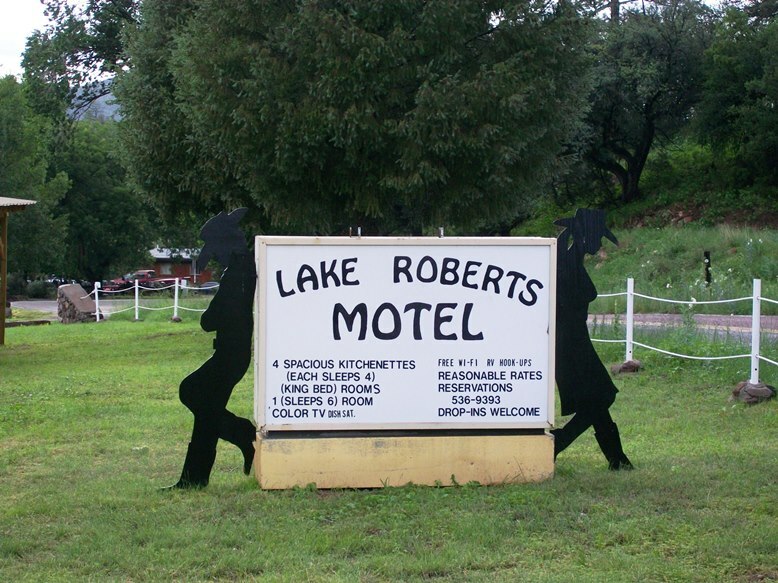 I was directed to the Lake Roberts Motel last Fall, when needing to stay in the area. 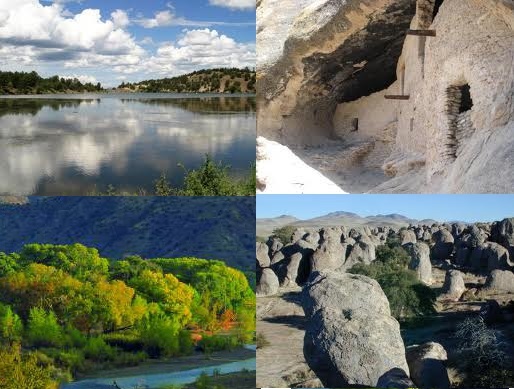 The couple who have purchased the motel and call it home have created a wonderful retreat to stay and explore the lake, to fish, hike, visit the Gila Cliff Dwellings and just relax. With just 1/2 dozen rooms and a small house for rent, even when full, it is still a peaceful retreat. The rooms are spotless, decorated with love in a southwest theme, and complete with small fridge and microwave. They have installed wifi and my room had a tv. I'm writing this from the little table in front of my room and watching a family of Mule Deer grazing across the road, as dozens of hummingbirds fight over the six or so feeders in front of the rooms. There is a barbecue for guests and a restaurant down the road. My only hesitation in sharing this secret is that when I want to come back and stay for a week the next visit, it may be booked and full! This is what accommodations were like when I was a kid! No massages, no luxuries - just comfortable rooms, wonderful surroundings, abundant wildlife, friendly and dedicated owners, and beautiful night skies. Who could ask for more?! As other reviewers have noted, in this part of NM you do not have a lot out there to choose from. Fortunately the Lake Roberts motel is a great place to stay, regardless! 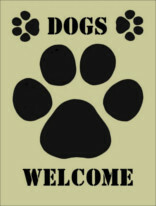 The owners clearly love their job and do everything to make you feel welcome and comfortable. We stayed in the little house-cabin rather than a regular room. Bathroom is beautifully remodeled. Nice kitchen. The cabin itself is cozy and beds are comfortable. Note that during the off season, there's really no place to buy groceries so the owners of the motel have stocked up on some basics in food and amenities that you can purchase at their office. Bonus: The Continental Divide trailhead is just a few miles back south along the highway. Room Tip: For the tiny difference in price, you might as well spring for the cabin. We are often confused with other lodging establishments in the area. Don’t be disappointed! We are not just an “ordinary motel” – ask any previous guest about their experience with us. We believe the success of our business relies solely on the satisfaction of one customer … You! Most attractions are just minutes away. 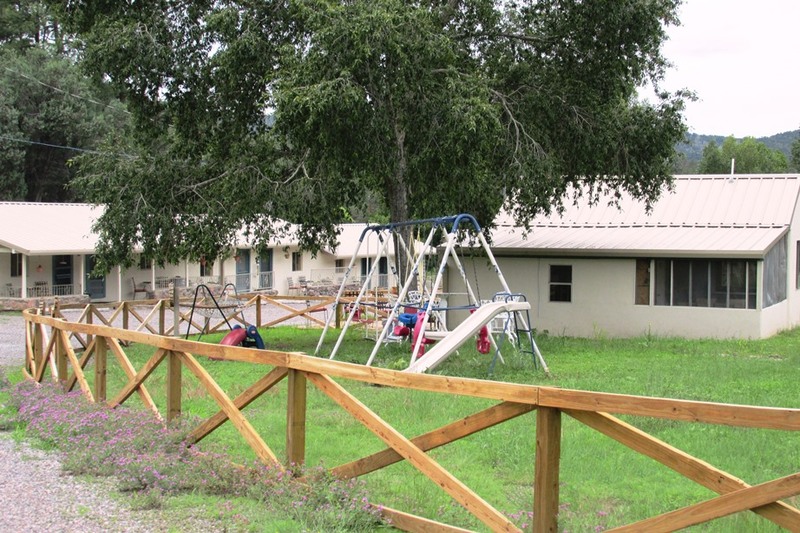 Lake Roberts Motel is conveniently located near many popular attractions in Southwestern New Mexico. Within minutes from our Motel you can go Hiking, Bird Watching, Fishing, Hunting, etc. The Gila Wilderness offers limitless pleasures. For those who need to keep in touch, we offer FREE WIFI and In-Room Phones.